The shop's founder created the coffee brand's original branding in 1959. DDB Worldwide is celebrating its reunion with one of the world’s most iconic coffee brands. The Colombian Coffee Growers Federation' Juan Valdez has returned to the ad agency after a nearly 30-year absence as strives to reach a new generation of caffeine lovers. "It’s a beautiful circle of life," said Juan Carlos Ortiz, creative chairman of DDB Americas. 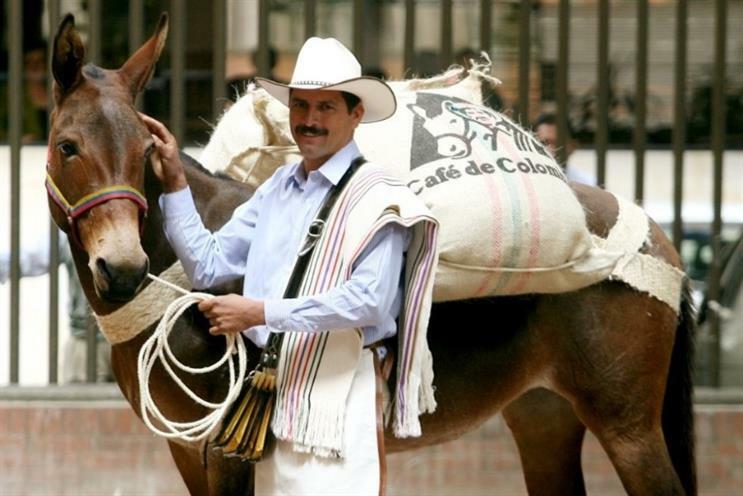 Juan Valdez and his mule companion have become synonymous with Colombia’s coffee industry. However, the irony is that its iconic logo was actually created in Madison Avenue, New York City, by DDB’s founder Bill Bernbach and The Colombian Coffee Growers Federation back in 1959. The initial marketing campaign focused on a bedrock of quality, launching a multi-platform initiative pushing the tagline: "100 percent Colombian coffee -- the richest coffee in the world." It soared in popularity over the years. In the early 1990s, the Consumer Reports -- a publication for American product testing -- reported that of 23 ground coffees tested, 100 percent Colombian samples dominated the top five. The Colombian Coffee Growers Federation increased the country’s coffee exports by 78 percent of between 1959 and 1990. Juan Valdez parted ways with DDB in the late 1990s. It sought help from a number of agencies before recently coming back to DDB, following a pitch earlier this year. "Twenty-five years ago it was one of ten most important brands in the U.S.," said Ortiz, who said the brand has suffered dilution over time as the coffee market continued to grew at an extraordinary rate. Now, with the rise of giants like Starbucks, the challenge is to cut through the noise, target a new generation of coffee drinkers and close the gap between those in their early 40s or 50s who know Juan Valdez and Millennials/Gen Xers who have never heard of it. Ortiz was tight-lipped about what sort of work consumers can expect from DDB, but hinted it will go back to the brand’s roots for inspiration. The first pieces of work could trickle out as soon as this year, with a big drive into early 2019.